The QLn420’s over-molding and tempered-glass display — coupled with its seamless, one-piece design — make it more durable than ever before The QLn printer can boost your operation’s productivity through a larger, sharper, easier-to-navigate display; faster, higher-quality printing; a variety of proactive alerts that help keep working printers in employees’ hands; and many convenient charging accessories. With Zebra’s Link-OS environment — an innovative operating system combining a powerful Multiplatform Software Development Kit (SDK) and software applications — the QLn family of printers is easy to integrate, manage and maintain from any location around the globe. 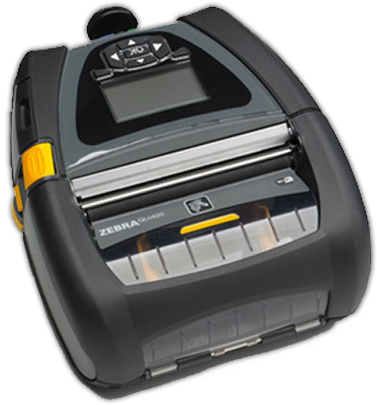 Enabled with Print Touch™, these Link-OS printers offer web page launching features using Near Field Communication (NFC), making it easy to access Zebra’s extensive knowledge base of how-to videos and product support.